The first Gamers Gauntlet is over and man was it a BLAST! This was the F.R.A.G. staff's eighth party and it came off as a roaring success! We had some great people show up from all over the USA (Florida to California to Missouri...WOAH). We got access to the Hotel space Friday afternoon and got everything set up for our 8pm opening. Would like to thank the Power team, Server team, Registration team, Network team and everyone else that helped make this party a success. The staff and volunteers that helped set up and make everything perfect for the 8pm opening rocked! The easiest way for us to get the Bawls was to order a full pallet. So we had it shipped straight to the hotel so that we didn't have to lug 60 cases of caffeine brew from Raleigh! When we arrived Friday we found a "Wall of Bawls" waiting for us. Militerry hooked us up on the idea of doing the "Bawls Tower". It had 6 levels with 8 cases on each level and 12 addition cases in the middle. We sold 2/3's of the cases by the end of Sunday. At 8pm we opened the doors up. At 10pm we had over 90 people checked in and set up and by the end of the night we had 110 people in and ready to go for Saturdays festivities. I think it's safe to say that opening on Friday was a success! 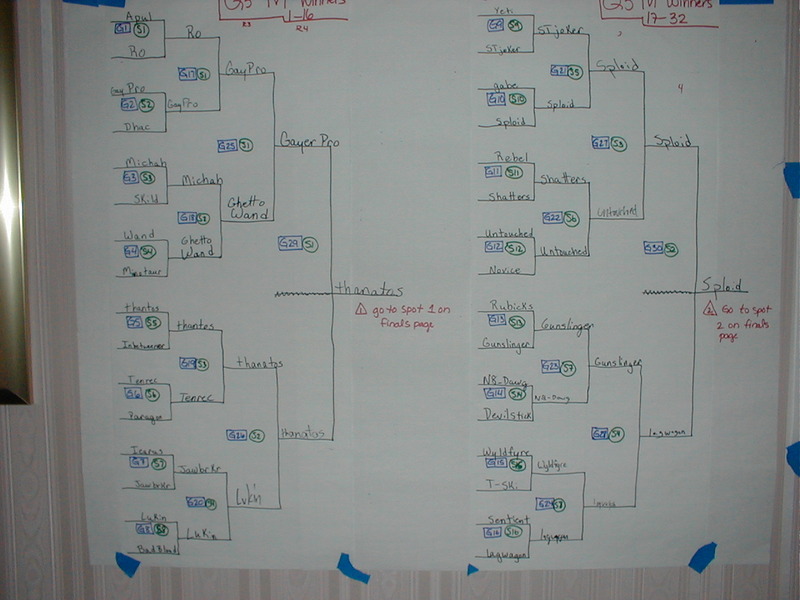 At 12 we started the CTF tourney with 16 teams signed up to compete. Also handed out some door prizes as well. 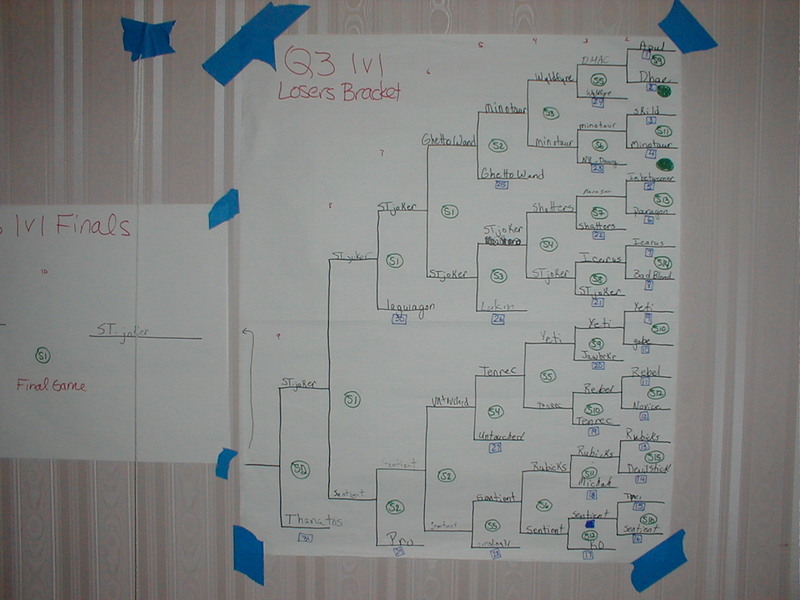 At 4pm we started the CS tourney and at 8 we started the Q3 1v1. We would have to wait till Sunday to find out who would be on top. 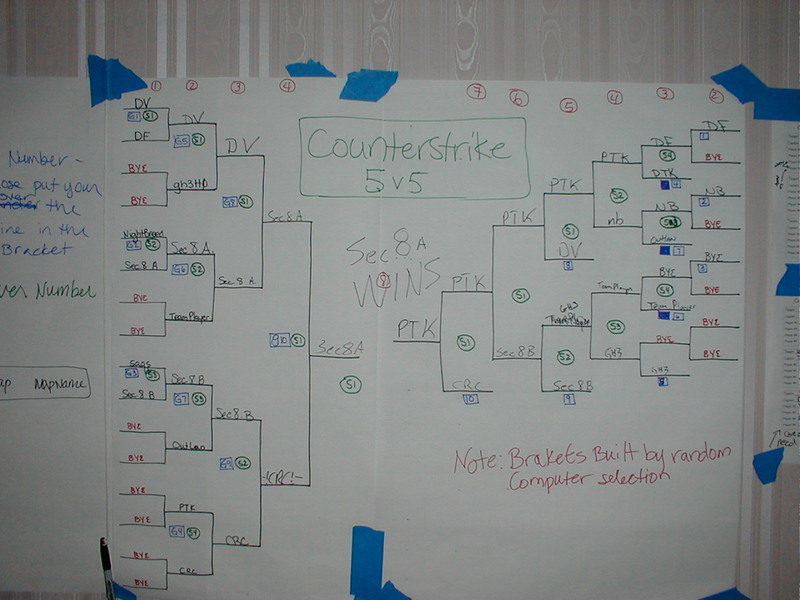 The tourney wrap-up was Sec.8's "A" team (no jokes please :) taking the Counter Strike tourney over PTK. 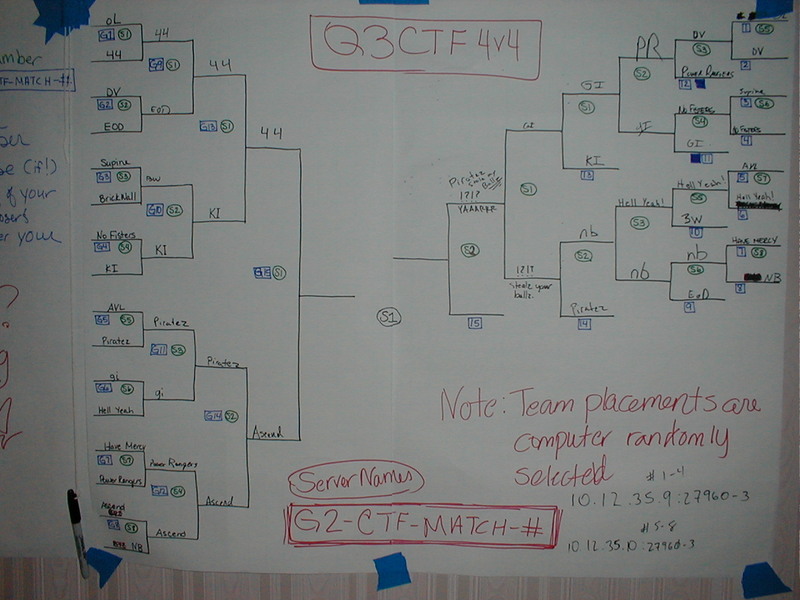 Trueforce  beating Ascend for the Quake3 CTF 4v4. 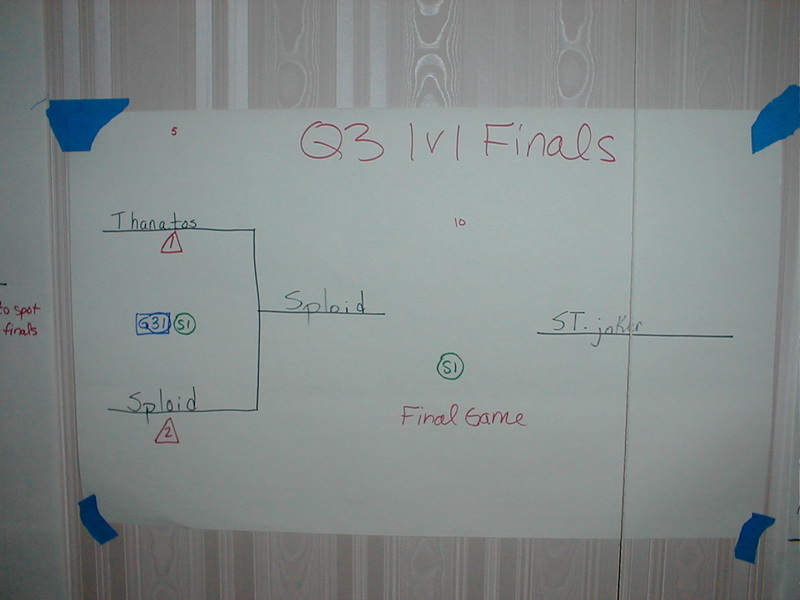 And StJoker (pronounced stroker) over Sploid in the Quake3 1v1. This is in no particular order but the staff would like to thank the following people. Jodi, Paul and the staff at the Best Western for helping set up the room and and providing us with an awesome LANning location! ; MiliTerry for busting a nut at set up and helping with the additional CS server; Pro for helping out at setup; Kurrelgyre for providing the dialup connection; Flav for helping with the Power Pickup; Phred for helping with the Power box, set up and break down; Chaos for busting a nut helping us break down the tables and putting them up; and to Bad_Mojo for busting our bawls (but only one case thankfully :).